Indian fashion industry is now approaching new horizons of fashion. 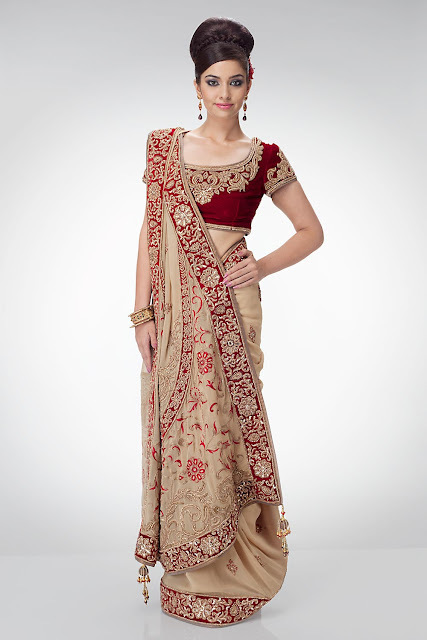 World class designs are being adopted in pure desi (local) style beside western attires. Indian fashion designers have started to design the dresses according to the newly emerged techniques. They have started to give equal importance to all parts of a dress. In Pakistan usually the dresses are consists of two parts, the kameez (shirt) and shalwar (trouser). The trousers were giving less importance by fashion designers as compared with the shirt, but trousers have been designed differently. We have a variety of trousers in fashion now days like slim fit, Patiala shalwar, chooridar, leggy and etc. Pencil trouser is a product of western culture but got famous now in Pakistan. Indian Pencil trouser have different style and patterns. The pencil trouser is just like a skinny pant with little modifications. Today we have brought some beautiful patterns of pencil trousers pairing with India cultural and modernly designed shirts (kameez). Pencil trousers are being designed with fancy stuff having shiny embedded design. The collection includes beautiful pencil trousers designed according to shirts. The dashboard is full of colors and most of pencil trousers have the same color as shirt have. Hope you will like the collection. These beautifully designed pencil trousers for Parties are looking marvellous with Hindustani fashion touch. I will not take your time any-more and take you to the board where we have fancy pencil trouser collection for you.